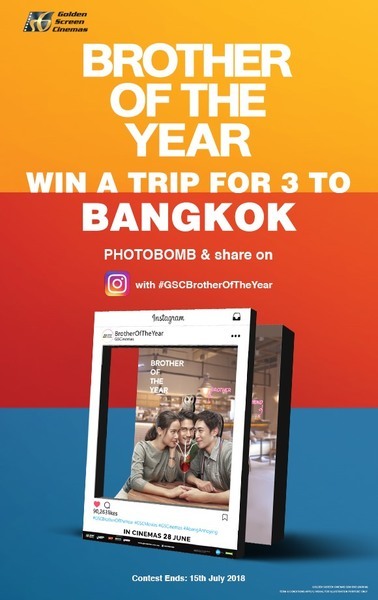 Photobomb 'Brother of the Year' standee, post it on Instagram and win a TRIP FOR 3 TO BANGKOK!! Step 1: Photobomb & take a photo with the "Brother of the Year" display! Step 2: Upload it on Instagram with hashtag #GSCBrotherofTheYear! Step 3: Ensure that your profile is set in public!